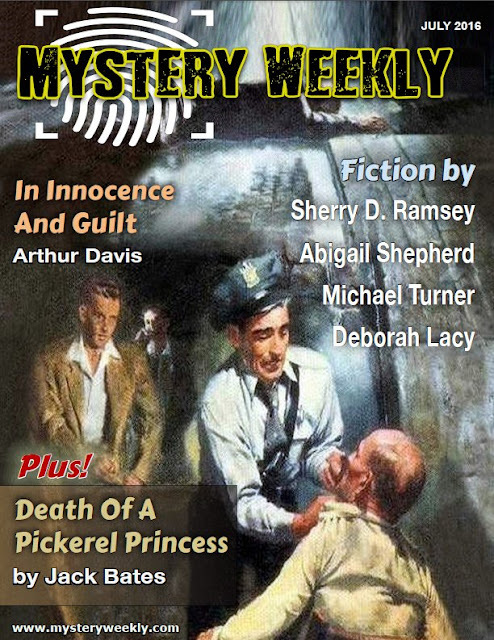 Have you read Mystery Weekly? It's great doses of short mystery fiction. I'm a little biased because this month I have a story in the magazine. It's a little bit of Christmas in July called, "A Christmas Miracle." You can test drive Mystery Weekly because right now if you sign up for their mailing list, you can get one of the stories e-mailed to you each Monday. What a great way to start the week. No I haven't read Mystery Weekly but I will now. I can't wait to read your story Deb. Can't wait to read it and will start with the story by D. Lacy!